1 inch by 2 inches. 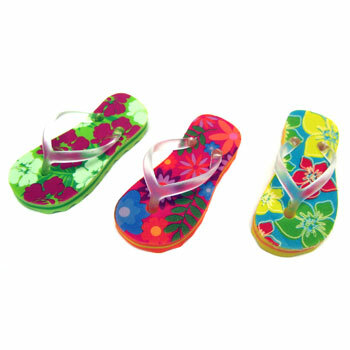 Assorted color flip flop design erasers. 36 pieces per tub. Sold by the tub. $14.00 per tub (36 pieces). $9.15 per tub for 18 or more tubs. $7.85 per tub for 36 or more tubs.